Journalists File for Police Protection Against Hawaii Attorney Linked to a CIA New Age Psyops and MKULTRA–the Drug Industry’s Federally-administered Mind Control Program. 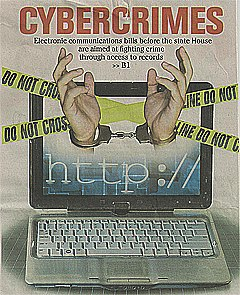 HealthyWorldNews.com First Publication date: February 8, 2012. In 1977, the late Senator Daniel Inouye chaired an unprecedented hearing on MKULTRA–the top secret joint Central Intelligence Agency (CIA) and U.S. military biochemical and biological social/population control program. Co-chaired by the late Arizona Senator Barry Goldwater, with Indiana Sen.Gary Hart, Sen. Edward Kennedy of Massachusetts, and others attending, the Senate Select Committee on Intelligence (SSCI) vetted more than the Frank Church Committee did in 1975, exposing COINTELPRO (the CIA/FBI’s Counter-intelligence Program) that dovetailed with the military’s biological and chemical weapons used to control targeted populations. 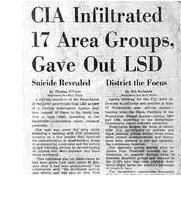 In some of these MKULTRA experiments, unwitting Americans, as well as people overseas, were experimented upon with LSD and other hallucinogenic chemicals, including dimethyltryptamine (“DMT”). That substance, contained in “Ayauasca,” was studied in relation to “dream telepathy” and “remote viewing.” It was considered important for military applications, including spying. The DMT drug was heavily promoted by Big Island Hawaii-based FBI drug-promotions agent, Terrance McKenna, before he died of brain cancer. Subsequently, it has been manufactured on the same island by local attorney, Paul J. Sulla, Jr. et. 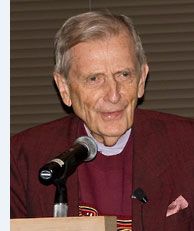 al., as initially advocated by the CIA’s leading scientific “dream telepathy” researcher, Dr. Stanley Krippner. (See: CIA CSI Science and Technology re- NASA CIA Files_ Parapsychologist Dr. Stanley Krippner). Can you imagine living in a world in which Divine-human communion depends on hallucinogenic drug sales? Very apparently, that is the world envisioned by commercial interests administering America’s CIA, and those in the criminal justice system, including the FBI, protecting and neglecting Sulla, Jr. 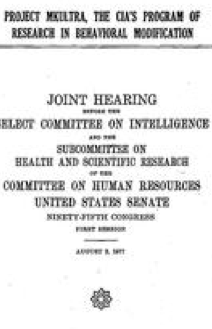 Senator Kennedy opened the SSCI investigation stating, “Some 2 years ago, the Senate Health Subcommittee heard chilling testimony about the human experimentation activities of the Central Intelligence Agency. “Other experiments were equally offensive,” Kennedy continued. “For example, heroin addicts were enticed into participating in LSD experiments in order to get a reward — heroin. The few records that remained to be scrutinzed revealed far more extensive experiments conducted than once thought. Eighty-six universities or institutions, documenting “new instances of unethical behavior,” were involved. Naturally, America’s intelligence community required a shroud of secrecy over the project, Kennedy noted, and “has a very sacred trust from the American people.” “The CIA’s program of human experimentation violated that trust,” Kennedy concluded. In 1984, Congress’s most powerful senior Senator Inouye served as senior counsel to the Kissinger Commission, a bi-partisan panel that reviewed U.S. policy in Central America and brought Inouye in the national spotlight for a second time. At that time, and at all times, the mainstream media concealed the disturbing fact that Henry Kissinger was largely responsible for “strategic nuclear weapons” deployed around the planet, and for the HIV/AIDS pandemic that came from not from Africa, per se, but from MKULTRA, according to massive evidence compiled and analyzed by Dr. Horowitz in his American bestseller, Emerging Viruses: AIDS & Ebola–Nature, Accident or Intentional? In 1969, Kissinger ordered Admiral Zumwalt of the U.S. Navy to reassess America’s biological and chemical weapons capabilities falling within the MKULTRA “umbrella.” From this intelligence, Kissinger selected the option to develop AIDS-like and Ebola-like biological weapons for commercial applications as well as mass depopulation. Kissinger’s conflicting commercial interests included the Merck Pharmaceutical Company over which Kissinger and Associates provided management. Horowitz found the “smoking gun” in the CIA-concealed NIH/NCI contracts, (NIH No. 71-2025 and 71-2059 Bionetics Exhibits for Depopulation). The Order to deliver AIDS-like viruses came from Kissinger, and went to Kissinger’s White House counterpart, Roy Ash, whose company Litton Industries (and subsidiary Litton Bionetics) was granted the $10 million contract (i.e., $2 million a year over five years). Then, through Merck’s Contract No. 71-2059, the company developed the first “anti-cancer vaccines” using contaminated animals supplied by Bionetics to grow the viruses and traffic the “cures.” Control over these revelations and Inouye was vitally important to U.S. National Security and Foreign Policy interests, especially in Hawaii. Inouye chaired the Senate Intelligence Committee between 1976 and 1979, and the Senate Indian Affairs Committee between 1987 and 1995. He introduced the National Museum of the American Indian Act in 1984. He was Chairman of the Senate Indian Affairs Committee between 2001 and 2003, Chairman of the Senate Commerce Committee between 2007 and 2009 and Chairman of the Senate Appropriations Committee between 2009 and 2012. But he gave no money or attention to the natives living in his own State, the native Hawaiians whose nation had become criminally occupied by the U.S. military, for which the Clinton administration apologized, but failed to address the damages. As part of its oversight responsibilities, the SSCI performed an annual review of the intelligence budget submitted by the president and prepared legislation authorizing appropriations for the various civilian and military agencies and departments comprising the intelligence community. These entities included the Office of the Director of National Intelligence, Central Intelligence Agency, Defense Intelligence Agency, National Security Agency, National Geospatial-Intelligence Agency, National Reconnaissance Office, as well as the intelligence-related components of Department of State, Federal Bureau of Investigation, Department of the Treasury, and Department of Energy. The Committee made recommendations to the Senate Armed Services Committee on authorizations for the intelligence-related components of the U.S. Army, U.S. Navy, U.S. Air Force, and U.S. Marine Corps. The Committee also conducted periodic investigations, audits, and inspections of intelligence activities and programs. Click image to view Sulla Jr.’s fraudulent foreclosure. In 1976, after revelations surfaced in Congress of the abuse of power by the C.I.A., the F.B.I. to control American citizens using drugs and propaganda programs, Sen. Inouye was best position to control the flow of shocking intelligence linking Hawaii attorney and Church of Sante Daime director, Paul J. Sulla, Jr., to the objectives of the MKULTRA program and the secret government involved in racketeering, drugs, money laundering, tax evasion, religious trust scams, foreclosure frauds, CIA drug cult experiments, and diverting income from arms sellers, such as Sulla’s client, Arthur Lee Ong. “[There exists] a shadowy Government with its own Air Force, its own Navy, its own fundraising mechanism, and the ability to pursue its own ideas of the national interest, free from all checks and balances, and free from the law itself.” Sen. Inouye concluded after investigating the Iran-Contra affair in 1987. From Inouye, and the media he spun, contemporary Americans learned how corrupt the intelligence community had become. The administration of President Ronald Reagan had sold arms to Iran, a purportedly hostile government, with the apparent goal of obtaining Iranian influence to free Americans held hostage by the radical group Hezbollah. Funds from the arms sales were apparently used to arm the Contra rebels in Nicaragua, violating an explicit congressional ban on intervention in the Nicaraguan conflict. Inouye accused the Reagan administration of creating a secret military establishment answerable only to itself. But the actual conspiracy extended beyond partisan politics, and involved Inouye as “controlled opposition” neglecting the crimes ongoing in his own State of Hawaii. These stunning revelations were made while preparing a District Court trial defense against an illegal foreclosure and eviction complaint brought by the Hilo attorney and his alleged “client,” Jason Hester, that threatens to eject these authors from their Big Island residence by abusing First Amendment rights and more. . . . The fight against organized crime in Hawaii, and against attorney Sulla especially began in 2004 for Dr. Horowitz when a County of Hawaii land contract was used by Sulla’s “clients” to extort $25,000.00 from Horowitz after he had already paid them $85,000.00 in a non-refundable deposit for the purchase and sale of a landmark property in Pahoa, HI–The Steam Vent Inn & Health Retreat (a.k.a., “The Kingdom of Heaven”). The co-conspirators, Cecil Loran Lee, Herbert M. Ritke, Jason Hester, attorney Daniel O’Phelan, and attorney Sulla, tried a number of illegal foreclosure schemes that failed in multiple courts damaging Horowitz et. al. more than $6 million over ten years. An Eviction Complaint followed Sulla’s fraudulent foreclosure, but was filed “frivolously and fraudulently” in the District Court lacking jurisdiction to decide title disputes. It was transparently filed to harass and maliciously prosecute Horowitz, damaging him and his ministry more than $25,000.00. It is hard for most Americans to conceive of their own intelligence agencies, and Justice Department officials, infiltrating their own communities to sponsor public deceptions for commercial enterprises involving real estate and illegal drug trafficking. “It is apparent, however” Horowitz concluded in a recent court filing, “based on the evidence herein submitted, and in two other cases advancing in local courts, that Mr. Sulla is grossly malpracticing law, harming people recklessly, compromising the integrity of local law enforcers, the courts, and the intelligence community” by his involvements in drug trafficking and “religious” drug rights activism. In fact, while Sulla has been concealing his own DMT manufacturing and trafficking “church” north of Hilo–The Eclectic Center for Universal Flowing Light . . .” (a.k.a., “Sky of Hawai’I church”) he has served as the lead attorney supposedly defending marijuana rights on behalf of the local counter-culturists, including–Rev. Nancy Harris, who was convicted despite Sulla’s advocacy; and Rev. 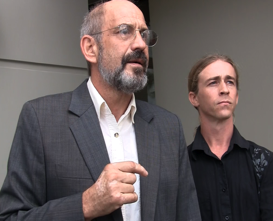 Roger Christie, convicted despite Sulla’s counsel and fund raising efforts. Neglected complaints to the Office for Disciplinary Counsel (ODC) in 2010 included evidence indicating Sulla was involved in securities fraud involving Hester and Ritke. 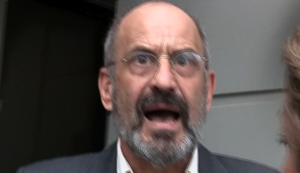 Horowitz questioned, if Sulla is laundering money, and being accused of it on the Internet, then he must have enemies that are Internet savvy intending to disgrace him, and that sounds like the COINTELPRO. These authors discussed the fact that Internet “Trolls” engaged in social engineering routinely disgrace and discredit one another, to generate confusion through unreliable information and conflicting evidence. Still, the question of money laundering was raised. UFirst appeared to have hundreds of agents in the US, with many people complaining in scam reports that their service was fraudulent. The way UFirst’s equity loan service appeared to work made it possible for criminals to generate loans by simply paying a large fee, like “points” up front, to secure a loan based on false evidence of equity in a property. Sulla, we knew, had generated such an “equity instrument,” manufacturing Hester’s Quit Claim deed, then faked giving Hester “color of title” to Dr. Horowitz’s property. The fraud featured the three illegal Assignment of the aforementioned fake Promissory Notes and Mortgage assigned to “Hester’s” sham “church” more than a week before that entity was officially registered with the State. The Sulla/Hester sham “religious” corporation was allegedly directed by Hester, falsely addressed at Ritke’s personal residence, but was actually Sulla’s invention all along. We reckoned that these illegal securities instruments, and theft of title, would put Sulla and Hester in jail. But we were naive. Other cases in which Sulla acted criminally were being sought and found. Two local woman, “Edna Franco” and “Roberta Sonoda,” came forward claiming damages from Sulla’s involvements in the foreclosure industry. In Edna Franco’s case, she claimed that Sulla generated a promissory note that she and her attorney insists was forged without her knowledge, and never signed by her. Franco had worked with Sulla to defraud people at one time, according to Franco’s admissions before she was indicted and convicted of running a forensic mortgage service firm that damaged a number of Hawaii complainants. In Ms. Sonoda’s case, Sulla was blamed for undermining her foreclosure defense by double-dealing with the opposing attorney defending a bank that lacked legal standing to foreclose in the first place (since they never issued the mortgage). Sonoda informed these authors that Sulla had breached his contract with her, withheld settlement documents, obstructed communications between her and the lender’s attorney, and schemed to dismiss her case favoring the lender with an unfair mortgage modification and illegal foreclosure scheme. Sonoda, it turned out, worked as a recruiter for Franco, and fed Sulla some of his clients, before Sulla acted to damage Sonoda. Both Franco and Sonoda worked with Paul Sulla and his colleague, attorney Keone Agard, in the foreclosure defense market. Sonoda took orders from Franco who was a Certified Forensic Mortgage Auditor who referred clients to these attorneys with referral fees (i.e., “kick-backs”) being paid reciprocally, according to their explanations of their practices. Franco protested how much Sulla had damaged her financially, and Sonoda likewise discussed the corruption she had witnessed while working with Franco and Sulla, as well as being represented by Sulla. Similarities in these reports moved Horowitz to encourage Franco and Sonoda to file police complaints, and he referred them both to County of Hawaii prosecutor, Rick Damerville, who encouraged them likewise. These authors were repeatedly disappointed to learn that neither Franco or Sonoda went to the police. Apparently, both women had cause for concern that discouraged their filing criminal complaints against Sulla. Franco subsequently revealed her concern when she was sued by the State of Hawaii’s Office of Consumer Protection for committing multiple acts of fraud, and then had her service license suspended by the court. According to the State’s press release, Franco had taken money illegally, and failed to deliver services promised. But the prosecutors neglected Franco’s alleged kickback scheme involving Sulla and Agard, who she said had both attended a legal seminar in South Florida in which they learned how to further defraud victims foreclosure fraud. The seminar that Franco alleged both attorneys had attended was likely conducted by Ben-Ezra Law Firm, named in a number of related lawsuits in which corrupt lawyers received kickbacks from fraudulent lenders for securing foreclosures (as reported by ABAJournal.) And there’s much more. . . . According to Franco, Sulla competed with her loan accounting and securitization firm serving nearly 200 families in Hawaii, mostly on the Big Island, and significantly damaged her business. She claimed that Sulla’s criminal activities tied into those under investigation by the Justice Department compelling five leading banks to cough-up only $25 billion to compensate for trillions of dollars in damages from their “‘money-from-nothing’” mortgage fraud schemes. Franco alleged to be working on the State’s committee assembled to administer this compensation program. She claimed to be among the State’s leading public defenders commissioned to investigate fraudulent mortgage contracts and foreclosures crippling the local and national economy and over-burdening the courts. 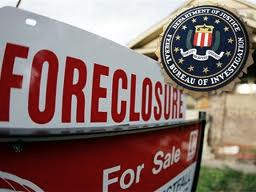 With her expertise and personal knowledge of Sulla’s shady deals with the lenders to bilk clients and foreclosure victims, herself being prohibited from further work in this field, it was surprising that her work with Sulla had gone unnoticed by prosecutors and the State’s OCP. Prosecutors neglecting Sulla’s involvements in these and so many other crimes indicated a pattern of immunity from prosecution that has increased to the time of this writing. “What would compel someone to create this message–’Paul Sulla Money Laundering’–on a “community” website of an organization named “wddty” with no links anywhere?” Horowitz questioned and quizzed officials. 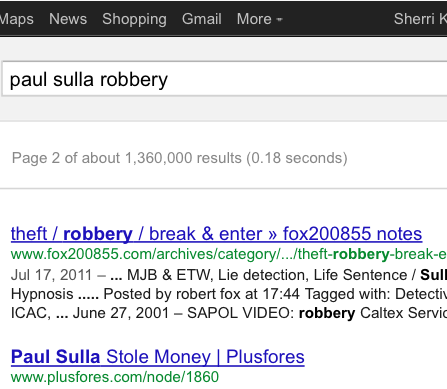 Google searching “Paul Sulla Money Laundering” returned other interesting exhibits. CLICK HERE to view a web page that reads: “Paul Sulla Embezzled Money,” posted by “http://theocharis-symposium.ntua.gr/?q=node/56269” (subsequently removed from the Internet.) But again, there was no known reason why this would have sourced, without any link or explanation, from a “theocharis-symposium” website in Greece. Horowitz discovered several other websites that contained this same html script, that he reasoned, did not manifest by accident. This did not occur by chance, or by computer glitch, Kane reasoned. This simple search provided material evidence of computer crime, libel if the allegations were untrue, and a first class felony if they were. The crime proved there was one or more savy computer-geeks in cyberspace, somehow generating cryptic messages that disparaged Sulla, spreading these messages on seemingly unlinked websites. Contemporary COINTELPRO operations are being reported involving blackmail, extortion, and discrediting targets to compel their compliance and allegiance to economic agendas established by international bankers and global industrialists. 1) The citations could discredit Sulla sufficiently to compromise his credibility, activity, and liability as an “agent” out of control. Don’t forget, Sulla operates as Hawaii’s second leading marijuana champion, behind imprisoned THC church minister Roger Christie, who Sulla counseled before his bust. 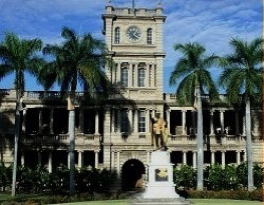 Sulla now co-directs the Cannabis Charity Education and Defense Fund from the Big Island of Hawaii, supposedly on Christie’s behalf. The Big Island is where some of the best and most lucrative cannabis in the US is grown. Many Big Islanders believe Sulla helped set Christie up to go down. 2) Sulla commands the local Church of Santa Daime, that is well known in Hilo’s counter-culture to engage in Ayahuasca “journeys,” and the “sacrament’s” manufacturing and trafficking locally and to the mainland, according to two sworn affidavits and web articles. SULLA’s pattern of behavior, and state and federal agencies’ tolerance of it, certainly fits this description considering Sulla’s leadership in tax evasion, drug-cult promotions, ayahuasca distribution, sham “church” formations, and foreclosure victim manipulations. “I have first hand knowledge of how ‘Controlled Opposition’ programs operate due to my victimization for leadership in the field of natural medicine and music therapy,” Dr. Horowitz wrote officials. In “Controlled Opposition” programs, some agents are assigned to infiltrate and/or control dissidents and/or their groups, as was done in Martin Luther King’s day by the FBI. Others are assigned to discredit those agents for “plausible denialability.” Some covert operators even go so far as to discredit themselves to bring general ill repute to the entire movement. This may explain why disparaging web postings appeared to damage Paul Sulla’s reputation long before these journalists began reporting their victimization and findings. Most reasonable people conclude SULLA appears immune, under some kind of protection, that is clearly not Divine. Protection of this kind is bought with money; in this case BIG money. . . . or big favors. And where does BIG money come from to protect a shoddily-dressed, unkempt, hallucinogen advocate, court officer, and sham “drug church minister”? The answer is clear: foreclosure fraud, ayahuasca trafficking, Ongs arms sales, tax evasion, money laundering, and miscellaneous racketeering activities. Isn’t that what white collar criminals engage in most? How interesting these industries are expressly represented in SULLA’s infamy. In addition, Sulla’s serving as a witness for the prosecution probably kept him from going to jail. The fact that Sulla is still practicing law evidences the probability that he set Ong, Hardy, and Travis up to go down, like many people suspect he did with Roger Christie. But, here’s the kicker, courtesy of Sherri Kane. NOW WHY WOULD THE GREEK GOVERNMENT, THEOCHARIS, OR THIS TAX EVASION STORY, BE LINKED TO “PAUL SULLA EMBEZZLED MONEY” IN A CACHED FILE FROM A LOCAL HILO RADIO STATION? Is there reason for this beyond the fact that Sulla is certifiably well-connected to the American tax evasion industry through illegal trust formation gurus? In an earlier report titled “Order Disqualifies Attorney Paul J. Sulla, Jr. for Lying in Conspiracy to Defraud the I.R.S. 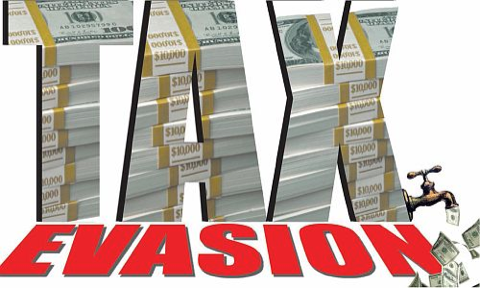 and Taxpayers,” the U.S. District Court of Hawaii disqualified Sulla from defending convicted tax evader Bruce Robert Travis in 2007. Sulla was required to account for his counseling Travis to defraud the government in a conspiracy involving Royal Lamar Hardy, another convicted felon sentenced for directing clients to evade paying taxes. The order noted that Sulla had misrepresented Travis’s liabilities to the IRS, and prepared a false tax return for Travis. The likelihood was that the feds struck a deal with Sulla to have him witness against Hardy, and the others, extending Sulla’s immunity as a snitch to the present time. Now, if the above revelations are not indicting enough. The next ones will take you into the “Twilight Zone” where the authors have worked full time as investigative journalists. Page 19 in the pdf EXHIBIT is an article written by “Sulla.” Except this is not his alter-ego, nor alias. This is his son, named, P. Joseph Sulla, III. Sulla’s son wrote this around 2004. But attorney Sulla, who advertises widely on the Internet that he has practiced law for 35 years, has been a member of the Hawaii Bar for a decade, and administers a psychotropic drug “church” on the Big Island, has a son who graduated from Saybrook Graduate School and Research Center in San Francisco, CA; who co-published with the infamous metaphysical parapsychologist, Dr. Stanley Krippner. Krippner is most famous for being the CIA’s leading scientist advocating the “turn on and drop out” drug cult of the 1960s, involving secret LSD experiments and drugs that college students and even Harvard faculty members had no idea sourced from mind-control programmers linked to the pharmaceutical cartel. 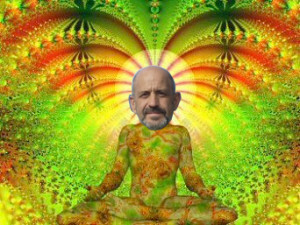 Attorney Sulla is apparently in business with his son in North Hilo, producing massive amounts of Ayahuasca and conducting medicinal “journeys” using the controlled narcotic DMT–all with the DEA’s knowledge and apparent blessing. Dr. Horowitz became familiar with Dr. Krippner’s work while training at Tufts Univ. School of Dental Medicine, and then Harvard School of Public Health. He learned that Dr. Krippner is largely responsible for legitimizing much of the “New Age” or “Consciousness Movement” internationally. Krippner collaborated intimately with Alan Watts and Timothy Leary, all linked to the CIA according to public knowledge. Since an extensive GOOGLE search of the name “Joseph Sulla” working anywhere in the US, overseas, or in the Hilo area failed to reveal another Sulla namesake, these authors assumed and published, incorrectly, that “P. Joseph Sulla, III,” and J. Paul Sulla, Jr., were one and the same, especially because of the ayahuasca church and drug cult connection. Clarification came on July 25, 2012, when these authors were served with a “Verified Complaint For Injunctive Relief and Damages” (Civ. No: 12-1-0417), and learned about the son from Attorney Phillip L. Carey of Hilo, who was promptly contacted. The Compliant makes no mention of both namesake’s involvements in the Ayahuasca “church” business; and Attorney Carey did not wish to discuss this lacking candor and substantive fact underlying easily mistaken identities. So clarification and corrections were promptly made to this article, as is standard practice in professional journalism. Obviously, attorney Sulla did not wish prospective clients seeking legal services to know of his and his son’s “family business,” since most reasonable Americans would shun the idea of hiring an attorney with “special” extra-professional activities leading “church” members into drug-induced trance states, hypnosis, social conditioning, bioenergy, and paranormal psychology “journeys” with hallucinogenic drugs THC and DMT, especially since such practices might affect an attorney’s competence. That is why Sulla has hid these facts, and the next exhibit explains more. Page 28 in the pdf record provides prima facie evidence that Dr. Krippner worked extensively with the CIA on psychosocial control experiments using illegal drugs, as did Leary and Watts, according to public knowledge; and for all we know, this tradition is being carried out on the Hamakua Coast by Krippner’s co-author and his father. According to public knowledge, a primary aim of the CIA has been to serve the banking industry and “national security” by securing lucrative pharmaceutical investments since the 1960s under the “MKULTRA Program”–a covert social control operation promoting a “New World religion,” “‘New Age’ ‘consciousness,’” “social conditioning” (i.e., hypnosis or mind control using the media and pharmaceutical industry), and “spiritual awareness” through psychotropic drug usage. “Spiritual medicines,” especially LSD and ayahuasca (DMT), became the focus of scientific study and commercial development. Here, for example, you can read an AFFIDAVIT OF LONEY J. SALAS, and also Affidavits of Anonymous Parties filed as evidence with law enforcers, from three participants in Sulla’s “medicinal” experiments. “LS” reported having to drive his truck through a locked gate in order to urgently escape the “ceremony” that reminded him of a KKK operation. In essence, the evidence presented herein, plus Sulla’s pattern of reckless behavior tolerated by the courts, proves he is highly unscrupulous, an agent involved in organized crime, and for many, a public nuisance. Surely, citizens seeking legal advice in Hawaii deserve to have and consider this information. According to federal prosecutors in US v Ong Superseding Indictment, Sulla’s “sham trusts” damaged the federal government and We the People. Sulla has done the same in setting up Hester’s sham “Gospel of Believer’s church” that illegally foreclosed on Horowitz’s ministry estate, and Sulla sought to evict him from the property. Sulla’s latest “legal” actions extend a long series of harassments by Sulla who is obviously focused on robbing Horowitz of his estate, used by Sulla’s client, Loran Lee, to traffic large amounts of marijuana, for which he was indicted and convicted. According to the evidence, the reason Mr. Sulla has been allowed to continue his reckless and damaging actions in court, and elsewhere for so many years, while engaging in financial and foreclosure fraud schemes, tax evasion, property thefts, drug trafficking, money laundering, and probably many more felonies that law-abiding citizens can’t fathom; all without the ODC or law enforcement doing anything about it, is that his service to organized crime benefits high-ranking members of the intelligence and financial communities. A public outcry to the Attorney General of Hawaii and Federal Justice Department officials is being urged by Horowitz, Kane, and others, since Sulla’s actions demand a RICO investigation into his financial and professional associations. Sulla’s malfeasance record as an officer of the court, including his Church of Sante Daime activities in relation to DMT manufacturing and drug trafficking; and his actions as counsel for Ong, Travis, Takaba, Lee, and Hester, should be scrutinized in the public’s interest. Sulla’s questionable professional competence as an “Officer of the Court” is of public importance, and public interest, and must be reconciled as a pubic service and duty of the free and diligent press. 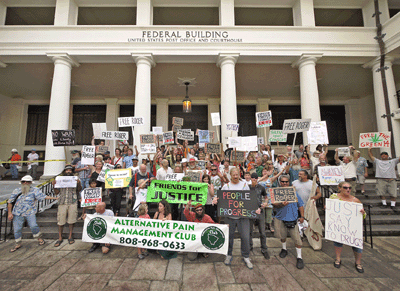 The Federal Bureau of Investigation and Hawaii’s Attorney General are required by their commissions and the public’s trust to scrutinize Sulla’s apparent links to organized crime locally and beyond, including the likelihood of his special assignments as an intelligence community informant and ayahuasca supplier with his son, who practices “medicine” without a license, and was illegally claimed by his father to be a “clinical psychologist”–a title reserved for licensed, tax paying, professionals. It is apparent, based on the material evidence herein provided, and in the cases ongoing in the local courts involving Sulla’s three fake securities, that Mr. Sulla is grossly malpracticing law, harming people recklessly, compromising the integrity of our local justice system, and shaming the national intelligence community.